A Reform demonstrator fountain pen. This is a cartridge/converter pen. 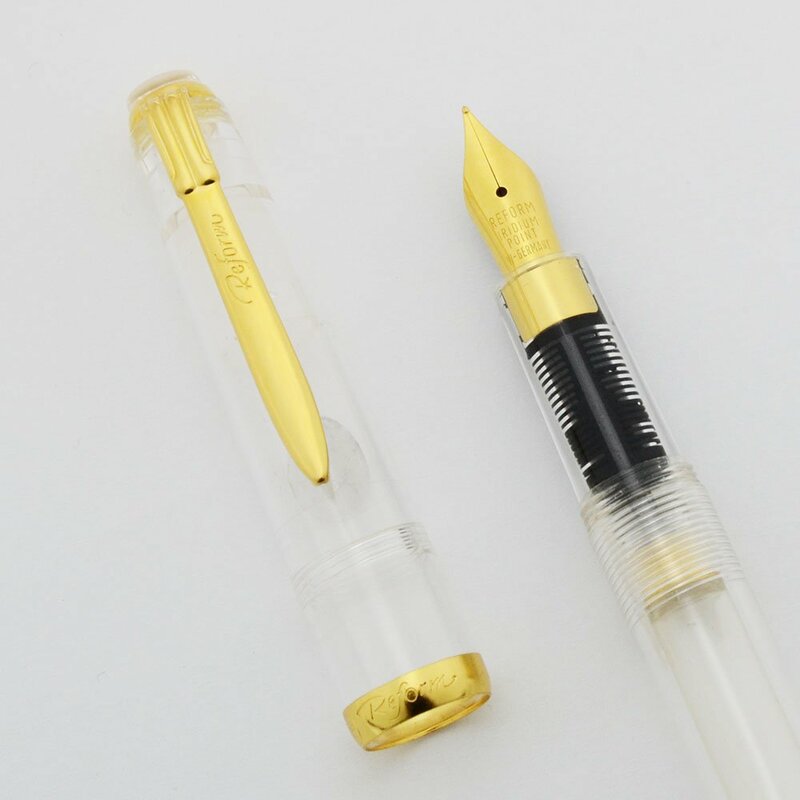 It has a gold plated fine nib and is in mint condition with plating wear. The pen works very well. Product Name Reform Demonstrator, we couldn't find a specific model name but it is not the Skywalker. Filling System Cartridge/converter filler. A Reform converter is installed. Color Clear plastic cap, section, and barrel, with gold plated trim. The converter matches the rest of the pen. Nib Fine gold plated nib. The nib is unlabeled but it seems like a fine to us. It is firm and writes smoothly. Condition Mint condition. No chips, dings, dents, or personalization. It looks completely unused with no handwear or ink residue.